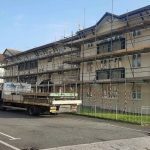 It’s been a busy time for us recently especially with Plymouth contract scaffolding projects. 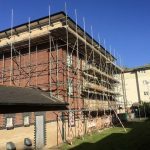 Alongside our domestic work, a large part of our job is contract scaffolding where we provide access to local contractors that carry out all sorts of work from renovation and roofing repairs to redecoration. 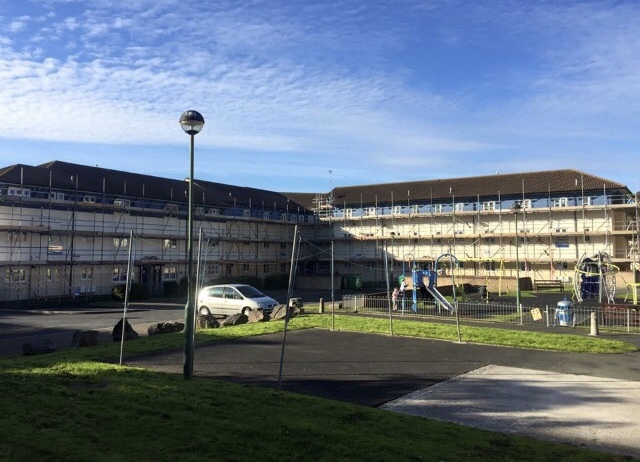 There have been a number of projects completed including this rather large one for Flora Court in Plymouth. 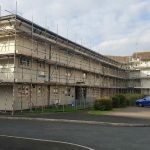 This local housing association project required Plymouth commercial scaffolding in preparation for redecorating the exterior of the building along with new soffits and fascias being installed. With such a large building, safe access is required for the contractors to be able to carry out their work and access all areas. 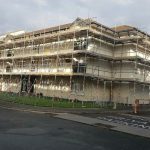 Often with contractual work there are several contractors involved and so all of the elements need to work together in order for the demanding timescales to be met. 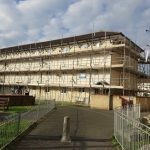 We have to erect the scaffolding so that the decorators can do their part and the soffits and fascias can be fitted. The contractors all have to be booked to complete the work on dates. 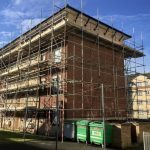 The team at Drake Scaffolding are often required to undertake large projects like this which entail such significant work. 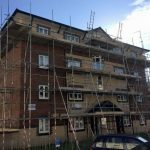 As usual they rose to the challenge and pulled out all the stops to get this job safely, efficiently and to the specified deadline. We are lucky to have such a dedicated team with such a great work ethic. We are also committed to providing the highest standard of work, meeting all of the necessary safety guidelines, certification and insurance requirements. 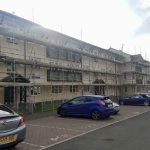 If you have a building that needs work carried out and require Plymouth scaffolding contractors to provide safe and reliable structures then we would be delighted to discuss your project. 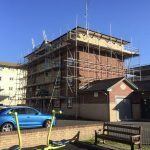 Simply give us a call on 0800 085 7147 or 07812 380 244 and we will arrange to come and carry out a site survey and inspection prior to carrying out any work.